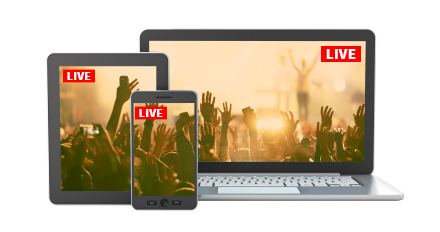 Telestream® Lightspeed™ Live Stream is an enterprise-class live streaming system that can ingest, encode, package and deploy multiple sources to multiple destinations. To discuss your needs or try all of the features of Lightspeed Live Stream: contact sales or find a reseller. 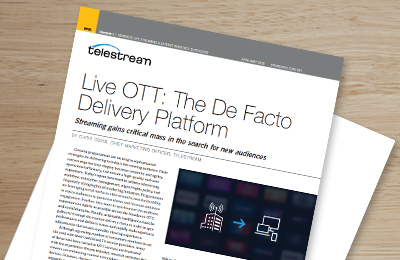 Insight into "Live OTT" solutions that can help broadcasters as they seek to strengthen their live OTT business model. 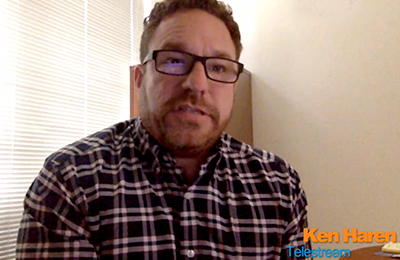 Don’t let buffering and other glitches affect your viewers’ quality of experience. Maintain a reputation of excellence. Get the eBook. Superior, scalable, real-time adaptive bit rate encoding for SD, HD and UHD HDR sources into AVC and HEVC. 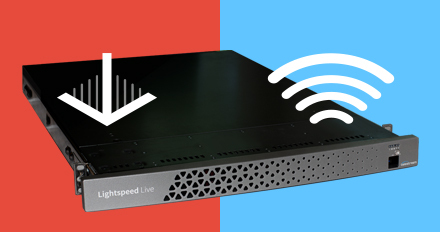 Lightspeed Live Stream can ingest multiple baseband SDI or IP video sources (MPTS, SPTS, RTMP) and encode multiple variants or ABR packages and deploy them to multiple destinations or host the origin. Simple, powerful web-based GUI provides complete control over all sources, encoding groups, templates and channel outputs. XML import and export for scalable system deployment. RESTful API for operational control, triggering and status monitoring. 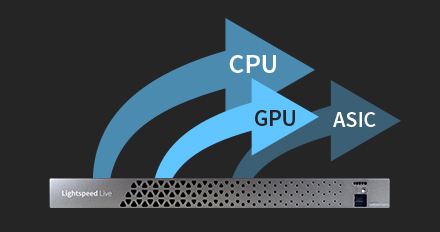 Lightspeed Live Stream will detect SCTE 35/104 and place an IDR (Instantaneous Decoder Refresh) frame at the boundary so that downstream equipment or server-side content replacement and ad insertion can take place seamlessly and cleanly without without requiring re-encoding of the existing stream; improving quality and efficiency. Lightspeed Live will condition your streams for ad-insertion on any output, including HLS, DASH and RTMP. Up to 10-bit 4K H.264 or H.265 encoding using CPU, GPU or ASIC encoding. 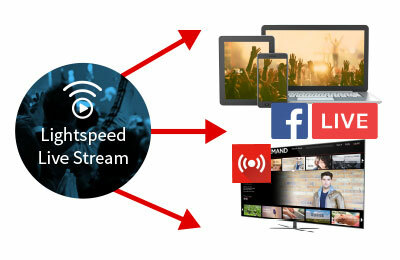 Lightspeed Live Stream has wide flexibility in how you choose to encode your streams, allowing you complete control over the quality and efficiency of the encoding process and enabling you to do more with less. HTTP Live Streaming (HLS), MPEG DASH, MP4, and CMAF packaging. Deploy via RTMP, local origin, or distribute to CDNs. Supports DRM and encryption options. Choose the output and delivery options that you need. NEW! 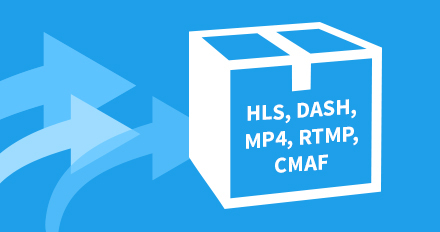 CMAF packaging allows you to package and distribute adaptive content in DASH or HLS using the new Common Media Application Format for faster turnaround and simplifying your delivery requirements. Drive a larger audience to your program and boost engagement through leading social media platforms. 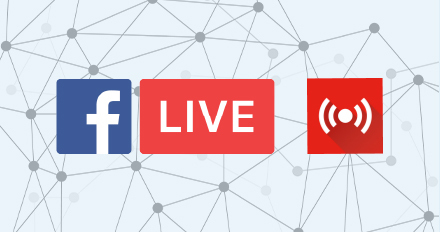 Lightspeed Live Stream has direct API integration with Facebook Live, YouTube Live, and RTMP streaming, for a complete publishing solution. 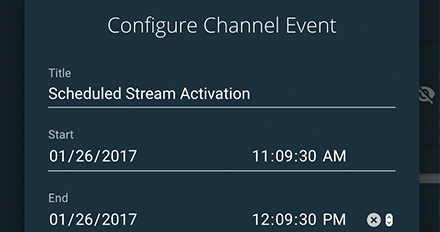 Built in scheduling, playlisting, branding, and event triggering features allow for agile broadcasting and channel deployment. Lightspeed Live recognizes SCTE 35/104 triggers and VANC data to allow for programmatic ad-insertion and content replacement, so you can respect content rights, and monetize more viewing windows. 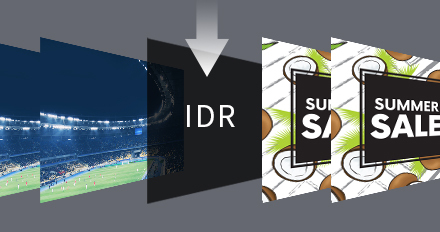 With our new IDR stream conditioning technology, you can be sure that all downstream content replacement and ad insertion will always begin on a full frame and be clean and seamless across all variants. 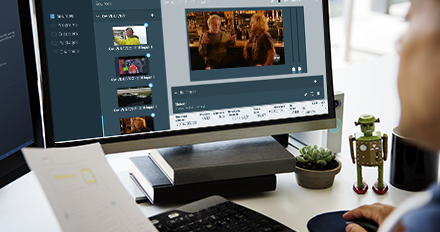 Lightspeed Live Stream can be combined with Lightspeed Live Capture to record the highest-quality mezzanine files for delivery into file-based workflows. When coupled with our world-leading media processing platform, Vantage, your content can be seamlessly and efficiently conditioned (ads removed, content added, bumpers, branding, captioning, etc.) 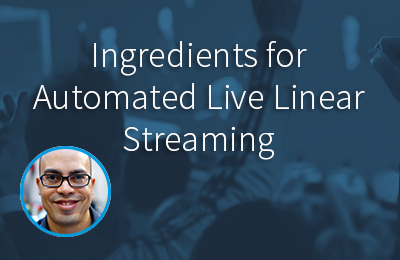 and delivered to any viewing window, with complete, end-to-end automation.